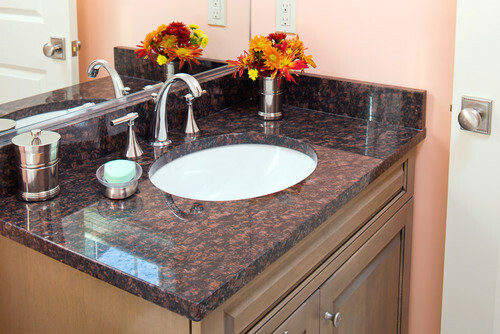 Tan Brown granite is quarried from a bedrock quarry in India. Overall the granite looks dark brown or black. The background is black and then it has reddish brown and greys. 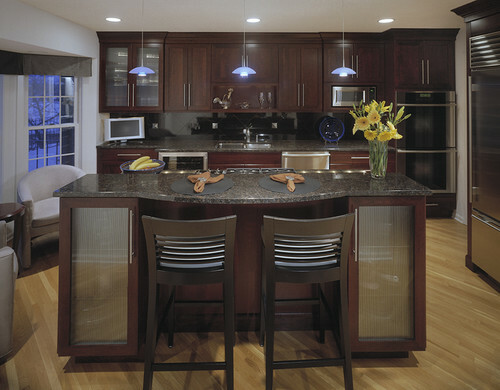 Tan Brown looks really great with wood cabinets that have a red tone. Other names for Tan Brown are: Copper Antique, Tan Brown Blue, Crystal Mahogany and Cherry Brown. Tan Brown is available in 2 cm and 3 cm slabs as well as tile.